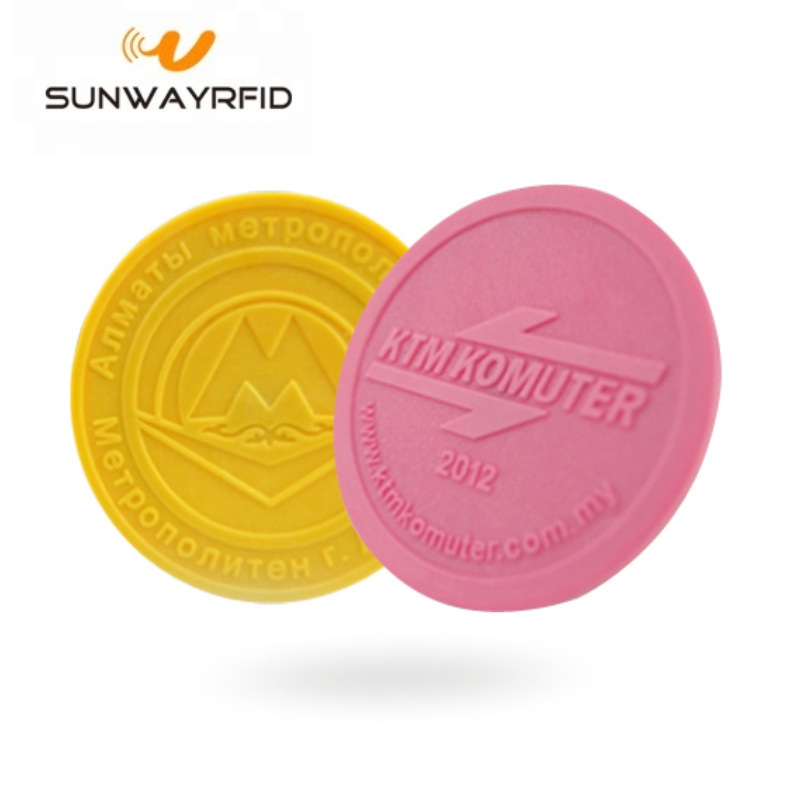 This RFID Metro Token with MIFARE® Ultralight® EV1chip, 64Byte memory, unique ID. Strong ABS case, the metro RFID Token designed for ticket application, waterproof and high temperature resistance, can be recycle used. The NFC RFID Metro Token in 30mm round, 2mm or 3 mm thickness in option. A logo can be printed on both sides of the rfid token. RFID Metro Token features an ANY RFID chip of usable space and can be made read-only. Ideal for making your subway trip a memorable experience! Application: widely used as tickets for metro, subway and train, and other purpose. Looking for ideal RFID Metro Token Manufacturer & supplier ? We have a wide selection at great prices to help you get creative. 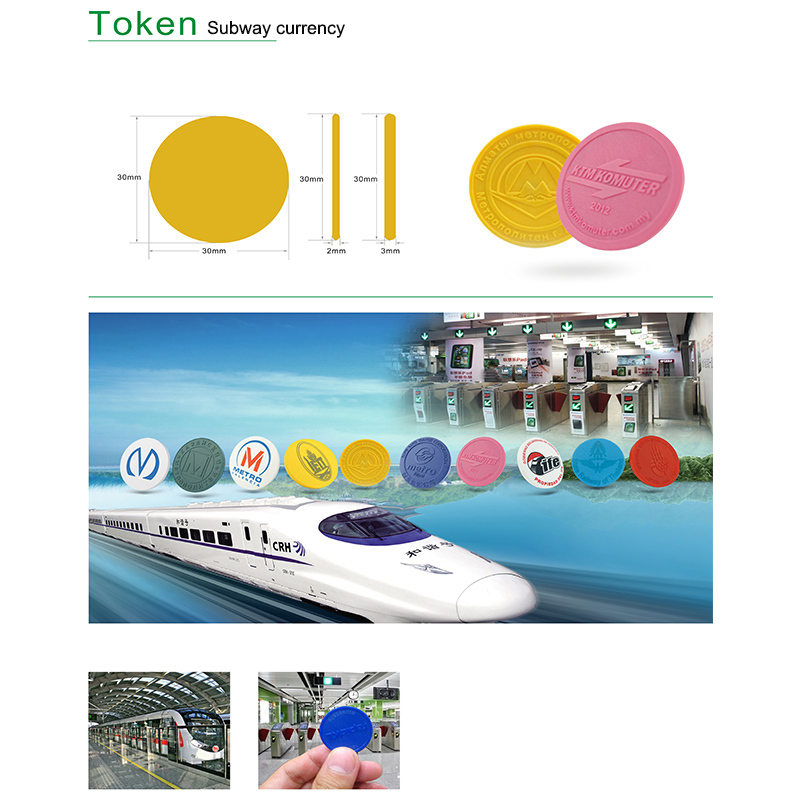 All the RFID Token for Subway are quality guaranteed. 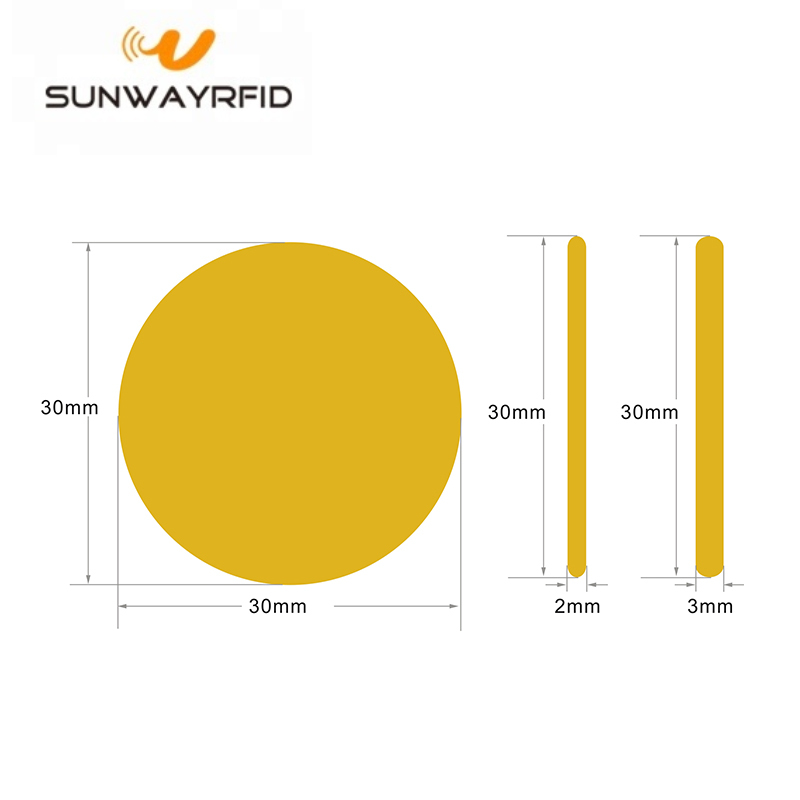 We are China Origin Factory of MIFARE Ultralight RFID Token. If you have any question, please feel free to contact us.